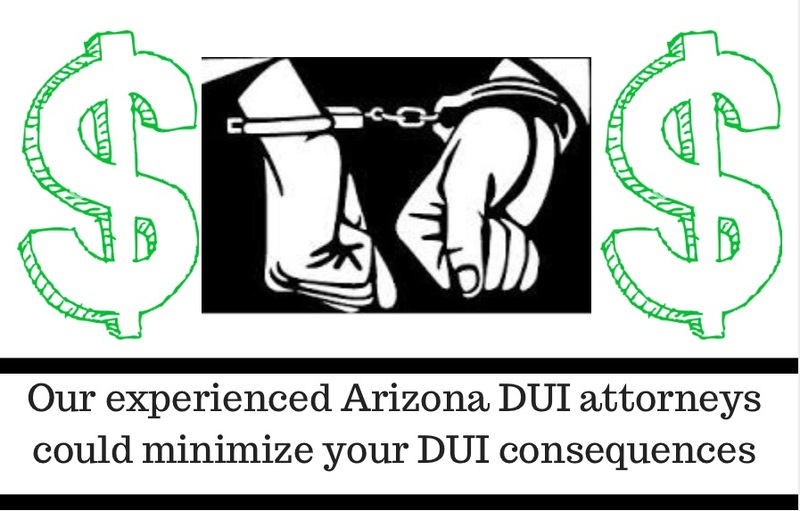 Call an attorney who is an EXPERT in Arizona DUI law. An expert attorney who is experienced in Arizona DUI cases could help minimize the consequences that you may be facing if convicted of DUI in Arizona. It may cost you your career. It may cost you your reputation. It may cost you to lose your driving privileges. It may cost you to make a collect call if you have to serve jail time. It may cost your car insurance to go up. It may cost you relationships. It will cost you to experience stress and anxiety of court appearances, and un-budgeted expenses. Here’s the bottom line: you cannot afford NOT to at least consult with an experienced Arizona DUI attorney about your case. You may be facing some harsh consequences for a DUI offense. If you have been arrested and charged with an DUI offense in Arizona, it is best to seek representation from a firm with attorneys who are Arizona Criminal and DUI law experts.